Yesterday, I went to my first yoga class in about 2 months. I haven't regularly practiced yoga in awhile and I've missed it but I've also made up a dozen excuses to skip class. I woke up really early before my alarm, made some coffee and curled up with a book and a blanket before making a quick breakfast and heading out. When I got to class, I realized the class was being subbed by an instructor who I had taken a class with before and didn't like. Immediately, I wished I could just go home. Then, as I was settling into the first posture, a guy showed up late and decided to roll out his mat in between the 3-inch space between me and the girl next to me, even though there was plenty of space behind me. I had to move my mat and was super irritated about everything and then as I was settling into my pose, I decided to be open-minded about the class. This entire year has been so hard. It's been full of exciting things that have all fallen apart, causing disappointment, grief, anxiety, and unbelievable stress. I think it's fitting that my experience at yesterday's class fell on October 1. I always love the 1st if the month because of how much opportunity there is, I especially love when it falls on a weekend! So, with that theme - open-mindedness - I'm walking into October with no hope or expectation with my shoulders a little heavier from this year, and I'm going to try to just be. I'm mixing up this post a little bit and talking about the month ahead rather than the month behind, but I'll get to that. This month, I have a lot of travel planned both personal travel and for work and I hope that all of it gives me the feeling that travel always does, waking me up and shaking me up, and giving me a fresh opportunity to see the world in a different way. I'll also be training for a half-marathon (more on that later), and scheduling in a lot more yoga because yesterday's class was everything I needed. I hope to read just as much as I did last month, and I hope that I can find some semblance of peace among everything that has been so hard this year. I spent a week in New Jersey in between weddings in New York and New Jersey and stayed at my mom's. 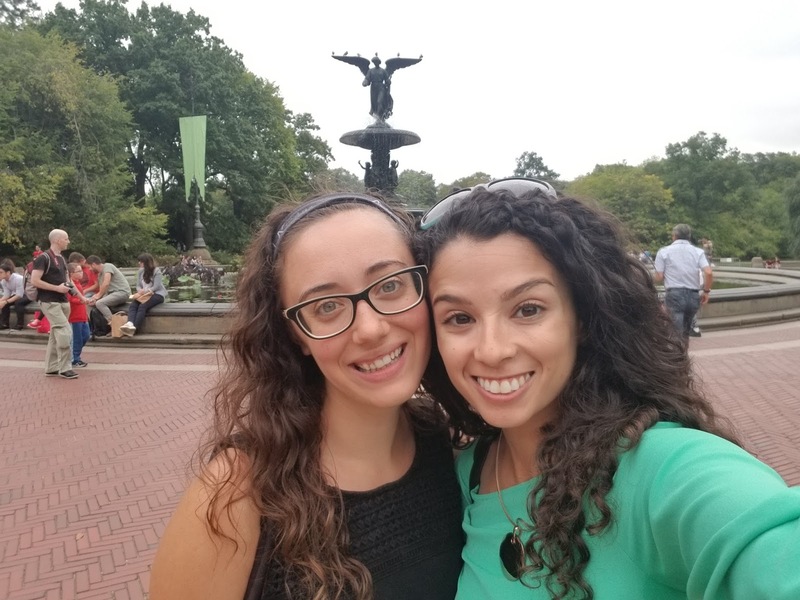 Highlights: Spending the week at mom's and having her make me coffee and breakfast every morning and getting to spend a day in New York with Carolann! Lowlights: Peyton needing emergency surgery last week. She'll be ok but she's in a cone and is pretty mopey right now. On top of that, the surgery didn't come cheap. The Month Ahead: A lot of travel...not all of it is planned yet but I'm looking at a long month of time away. 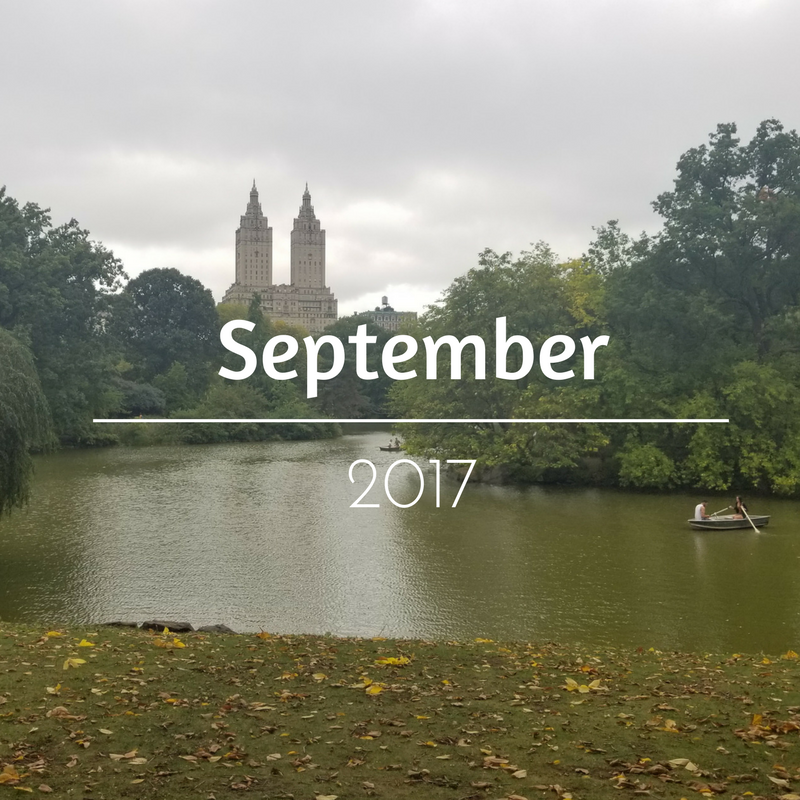 How did your September shape up?